Areas of Expertise: Canine behaviour and training; Police dog handling and training; Dangerous Dogs Acts; Animals Act; Companion animal behaviour. Identification of dogs alleged to be of the Pit Bull Terrier type. To date David has assisted in the investigation of five incidents in which dogs have been involved in the deaths of humans. Background information: David Ryan retired from Cumbria Constabulary in 2007 following a 32 year police career, including 26 years as a police dog trainer and instructor with full Home Office accredited qualifications. During his police career David had extensive experience of report writing, court prosecutions and procedures. He has given evidence in court on numerous occasions and is well versed in legal protocol. As a police dog instructor he was responsible for the maintenance of training records for dogs and handlers and their assessment under the National Police Dog Assessment Model, including failures to meet grades and remedial actions. He produced records of competence for dogs and handlers in support of prosecutions and worked in conjunction with the force legal team in defence of allegations made against them. He was also involved in the monitoring of all dog bites inflicted by the constabulary’s police dogs and advised the force on all aspects of dog related matters, including prosecutions of alleged dangerous dogs. In 2002 he completed a postgraduate Diploma (level 7) in Companion Animal Behaviour Counselling, with distinction, from Southampton University, an internationally recognised centre of excellence for animal behaviour studies. In 2008 he was Certificated as a Clinical Animal Behaviourist by the Association for the Study of Animal Behaviour, the highest possible independent accreditation, recognised by both the Royal College of Veterinary Surgeons and the British Psychological Society. He now works with local charities helping to re-home their more problematic dogs and provides an expert witness consultancy concerning both civil and criminal litigation involving dogs and other companion animals. From 2009 to 2012 David was the elected Chair of the Association of Pet Behaviour Counsellors, the leading association in its field, and remains a member. During that time he was instrumental in initiating the Animal Behaviour and Training Council, a regulatory body for trainers and behaviourists supported by the leading veterinary, welfare and working dog organisations and is registered with them as a Clinical Animal Behaviourist and Expert Witness. In 2010 David wrote the RSPCA’s definitive guide on dealing with aggression in dogs, a version of which is available for the public on their website and presented “Guidance for handling dogs and the use of equipment to ensure the health and safety of handlers, others and the welfare of dogs” for the RSPCA at the National 2012 Status Dogs Summit. David was an invited member of the expert panel for the DEFRA commissioned review of human directed dog aggression undertaken at the University of Liverpool in 2012. David was employed as a lecturer on Newcastle University’s MSc in Applied Animal Behaviour and Welfare between 2011 and 2017. In 2011 David oversaw the production of training for Local Authority Authorised Officers on behalf of the Scottish Government in preparation for the introduction of the Control of Dogs (Scotland) Act 2010. In both 2011 and 2012 David was an invited contributor to the PDSA’s Animal Wellbeing (PAW) Report. David has presented a module on canine behaviour in relation to allegedly dangerous dogs to Police Dog Legislation Officer’s (DLOs) Courses since 2012 and continues to present to initial and refresher courses. On 26th June 2015 David received a letter of appreciation from Deputy Chief Constable Gareth Pritchard, National Police Chiefs Council holder of the Dangerous Dogs Portfolio for Police in England and Wales, for his input into these courses. In January 2014 David was employed by Central Qualifications, a nationally recognised awarding body for the veterinary and animal related industries, as an external reviewer for their Professional Diploma in Clinical Animal Behaviour, a Higher Education qualification at level 6 (BSc Hons) aimed at animal behaviourists and incorporating a Diploma in Companion Animal Training (HE level 4) and an Advanced Diploma in Companion Animal Training (HE level 5), providing industry assessment of the content and delivery. In November 2014 David was an invited speaker at the London Vet Show, Olympia, on behalf of the Association of Pet Behaviour Counsellors, on the subject of dog aggression, entitled ‘Whatever happened to ‘man’s best friend?’. On 6th June 2015 David was an invited speaker at the National Dog Bite Prevention and Behaviour Conference held at Lincoln University on the subject of ‘The Road to a Bite and How to Avoid Walking Your Dog Down It’. On 18th November 2015 David interpreted and presented the findings of the 2015 PDSA Animal Wellbeing Report in relation to the behaviour of dogs to an invited audience of veterinary professionals at Central Hall, Westminster. On 20th February 2017 David was an invited speaker on the subject of ‘Why Dogs Behave Dangerously’ for the West Yorkshire Police Dog Information Seminar, held at the WYP HQ Carrgate, Wakefield. In 2018 David was requested by The House of Commons Environment, Food and Rural Affairs Committee to provide oral evidence on the subject of dog behaviour to their inquiry into Dangerous Dogs: Breed Specific Legislation at Portcullis House, Westminster, appearing before the Committee on 13th June and influencing their subsequent report ‘Controlling Dangerous Dogs‘. 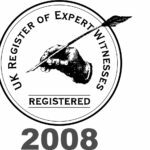 David has been an independently vetted member of the UK Register of Expert Witnesses since 2008 and consequently is well versed in the latest requirements of the Civil and Criminal Procedure Rules in relation to expert witnesses. Ryan, D (2013) Dogs that Bite and Fight: a guide for owners and trainers, Lulu, UK. Ryan, D (2010) Dominance meme: out-lived extreme? Veterinary Times, Vol 40(7). Ryan, D (2010) Dog secrets, Lulu, UK. Ryan, D (2010) Our relationship with dogs. Chapter 2 in Appleby, D. (ed) The APBC Book of Companion Animal Behaviour (2nd edition) Souvenir, London. Ryan, D (2008) ‘Stop!’ How to control predatory chasing in dogs. Lulu, UK. Ryan, D (in prep.) Chapter 2, Dog Behaviour. Commissioned for the forthcoming companion animal behaviour book for small animal veterinary practices edited by leading veterinary behaviourists Dr Rachel Casey and Dr Sarah Heath for the academic publisher, CABI. Growing up with a dog: How dogs and children can enjoy living together. What to do when you meet an unfamiliar dog. 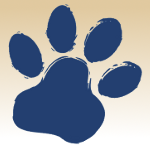 If you would like to take advantage of David’s unique combination of legal expertise, experience and theoretical knowledge of canine behaviour you can contact him here.